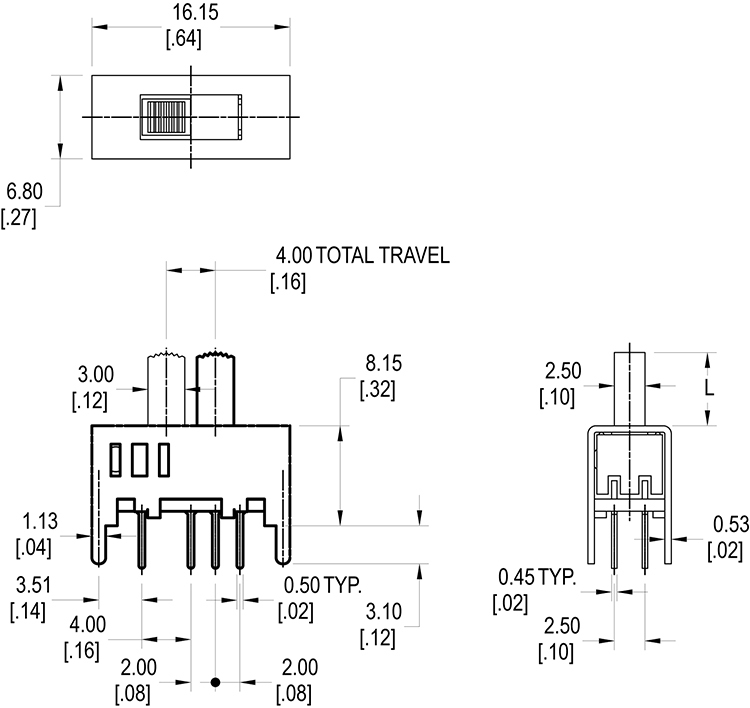 Miniature in size, the MS2301 Series DP3T slide switch offers steel housing with multiple positions and actuator lengths. This unit is constructed with steel housing, an acetal actuator, a phenolic base, and plated brass terminals. 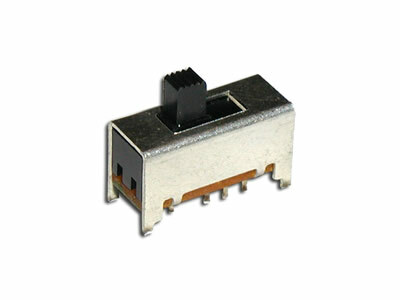 This micro switch also features PC pin terminal options and multiple latching options.